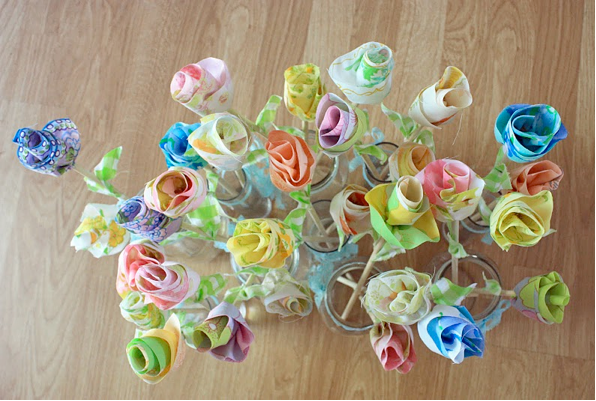 A beautiful and resourceful way to put to use random fabric scraps too little for much else. I love Amy's version (pictured above), which is based on Dana's original tutorial here. You go girls. These would make fantastic decorations for parties, showers, brunches, gifts, etc. Plus, they are reusable and could also double as favors. Thanks for the shout out Steph!